A €15,000 grant will be given, from the EU, to 8,000 municipalities across Europe to provide Wi-Fi. 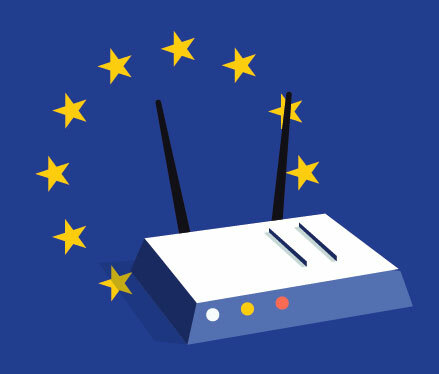 Wifi4EU program (WiFi for EU) started this year (2018) with a budget of 120 million euros and will be completed in 2020. The goal of the program is to further develop municipalities across Europe to ensure free WiFi connectivity for citizens and tourists in public places such as parks, squares, public buildings, libraries, health centers and museums. ATTENTION: Since the time of application is of utmost importance, each municipality will have to submit its application EXACTLY when the invitation for applications is opened! Our company, JoinMyWifi, is a Cypriot company established in Jan 2015 and an approved entity from the EU to implement the program. It can undertake the responsibility for the purchase, installation and configuration of equipment in each municipality in Cyprus, with the guarantee that reliable Wi-Fi will be provided in the agreed locations and that the amount of expenses will not exceed the €15,000 of the sponsorship. Copyright © 2019 JoinMyWifi. All Rights Reserved.